The Knox Handroid Pod MKIV Gloves are updated with an improved fit in the fingers and wrist. The exoskeletal flexible finger spines cover the knuckles, fingers and thumb and give full unrestricted movement. Their newly designed low-profile construction also offer a softer feel and is more aerodynamic than ever before.The spines link to a comfortable gel-lined metapod that covers the back of the hand.The spines link to a comfortable gel-lined metapod that covers the back of the hand. 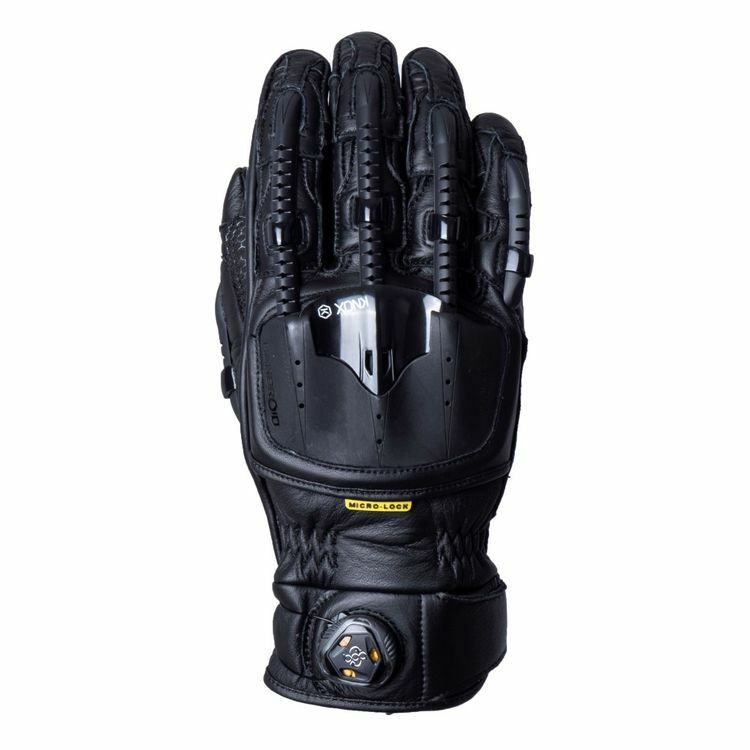 On the palm, the patented Scaphoid Protection System (SPS) is enhanced by additional sliding systems on all sides which ensure that in the event of an accident the majority of contact with the ground is with the SPS and not leather. An additional inner cuff slider works to support and enhance the SPS sliding effect. Super strong and tear resistant Kangaroo leather covers the inside palm and fingers. The Handroid Motorcycle Gloves utilize a technical Knox BOA lacing system that allows precision adjustment around the whole cuff. The wrist system tightens equally from all sides.